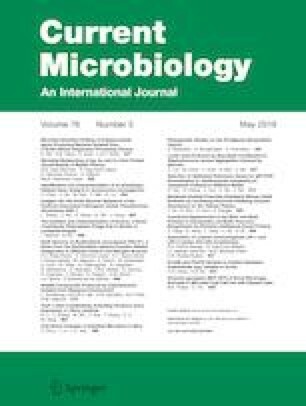 Burkholderia cenocepacia TAtl-371 was isolated from the rhizosphere of a tomato plant growing in Atlatlahucan, Morelos, Mexico. This strain exhibited a broad antimicrobial spectrum against bacteria, yeast, and fungi. Here, we report and describe the improved, high-quality permanent draft genome of B. cenocepacia TAtl-371, which was sequenced using a combination of PacBio RS and PacBio RS II sequencing methods. The 7,496,106 bp genome of the TAtl-371 strain is arranged in three scaffolds, contains 6722 protein-coding genes, and 99 RNA only-encoding genes. Genome analysis revealed genes related to biosynthesis of antimicrobials such as non-ribosomal peptides, siderophores, chitinases, and bacteriocins. Moreover, analysis of bacterial growth on different carbon and nitrogen sources shows that the strain retains its antimicrobial ability. The Whole Genome project has been deposited into GenBank under the accession no. PRJEB16032. The version described in this paper is version PRJEB16032. The online version of this article ( https://doi.org/10.1007/s00284-019-01657-0) contains supplementary material, which is available to authorized users. FURR, EYTG, and IAH recipients of a fellowship from CONACYT. JAIG and PES are recipient of SNI, EDI, and COFAA fellowships. We thank Dr. E.O. Lopez-Villegas (Escuela Nacional de Ciencias Biológicas, IPN) for the transmission electron microscopic analysis. The genome sequence was conducted by the U.S. Department of Energy, Joint Genome Institute, a DOE Office of Science User Facility, is supported by the Office of Sciences of the U.S. Department of Energy under the proposal 1572 and Contract No. DE-AC02-05CH11231. Phenotypic analysis was partially funded by Projects SIP 20170492 and SIP 20180117.